The Running Buddy was created by Julie Bradfield. Julie wanted to create a belt-free storage option that she could put more than one energy gel in. After spending over two years and over 100 miles of testing, the RunningBuddy was created. It uses powerful magnets to hold the pouch on your pants of shorts. 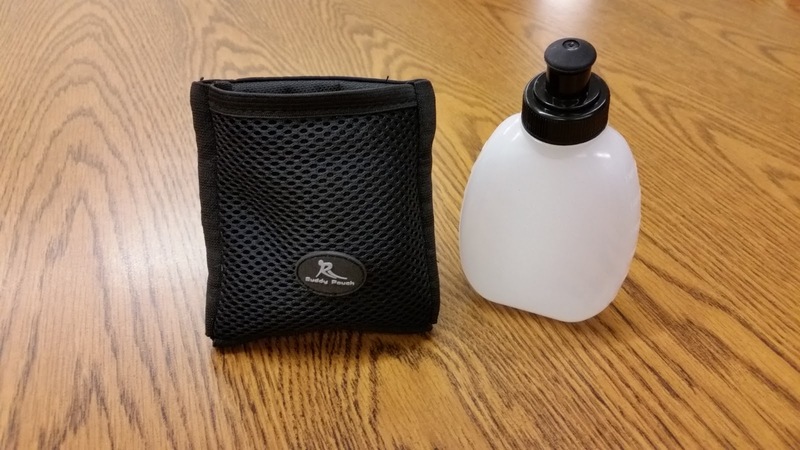 The Buddy Pouch H2O uses the same technology and securely holds the pouch in place. I found that the Buddy Pouch H2O has some definite benefits and one drawback. For shorter runs, this is a great way to bring a little water without having to hold it. The bottle holds 7 ounces, which isn’t that much, and is really my only big issue. As with the other Running Buddy products, the magnetic system that holds this pouch in place does a great job. If you wear shorts that are way too loose, the pouch might bounce around a little, but it will not break free. Those magnets are awesome! The bottle slides in and out of the pouch easily, but will not fall out on your run, unless you decide to take a cartwheel break or bust out some handstand pushups. The Buddy Pouch H2O is $14.99 and you can purchase it from the Running Buddy website, at Amazon, or at select store (click here for a list of stores). 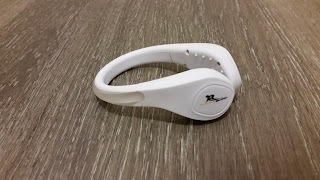 The other product that I received to test was the BuddyBrite. 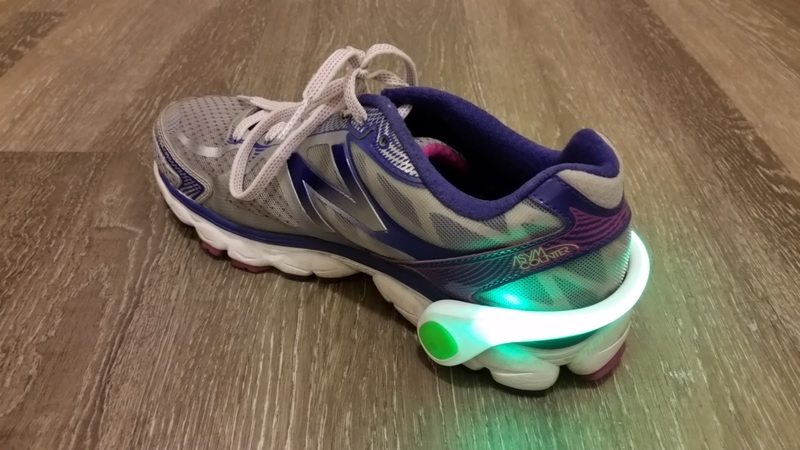 It is a light that simply clips onto your shoe using pressure and some little grippy spikes. You can buy the Buddy Brite with either a green or red light. When you press the button the first time, it provides a solid light. If you press the button again, the light flashes for added visibility. You can replace the batteries in this unit when the time comes (Running Buddy says the batteries will last 100 hours) as well. I am a huge advocate for running safety, especially at night when visibility is limited. I think the Buddy Brite is a great product at a great price. The light is very bright and the unit is light weight, so you shouldn’t even know that it’s attached to your shoe. The way it attaches to your shoe will also not ruin your shoes, which is always a positive thing. The Buddy Brite is $13.99 and you can purchase it from the Running Buddy website, at Amazon, or at select store (click here for a list of stores). Running Buddy has come out with two more great products in the Buddy Pouch H2O and Buddy Brite. If their use would fit your running needs, I would definitely recommend these products. They are made with premium materials should last for a very long time. I still use my Running Buddy pouch and it works just as good as the day I got it (in December 2014). Check them out and let me know what you think.